Articles on the 60th anniversary of Wonder Woman. Available in Hardcover or softcover. Gemstone Publishing offers collectors two of the best resources available for determining the condition and value of their collectibles with The Overstreet Comic Book Price Guide Volume 36 (HCs: DEC05 3021/23, $32 ea. ; SCs: DEC05 3022/24, $25 ea.) and Hake's Price Guide to Character Toys 6th Edition (APR06 3180, $35)! 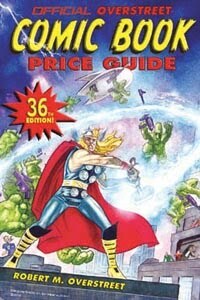 The Overstreet Comic Book Price Guide remains the first, best reference for comic book enthusiasts. In stock now, the 36th Edition offers volumes of invaluable information about comics, including updated listings of thousands of titles, a new, fully illustrated introduction, an interview with artist Jim Lee, a feature article on comics of the '70s and much more. This year's release features a choice of Thor and Wonder Woman editions by John K. Snyder III and George Pérez, respectively. Solicited in the April Previews for shipping June 28, the sixth edition of Hake's Price Guide to Character Toys features thousands of expanded and updated listings in more than 360 categories, including more than 15,000 photo-illustrated items and more than 45,000 prices. Accurate, comprehensive and lavishly illustrated, it's the definitive visual guide and checklist for character toys. Not sure if there's anything Perez-specific in it, but InQuest Gamer #133, also released April 5th, includes a preview of the Infinite Crisis Vs. collectible card set. Wednesday, April 5, 2006 should witness the arrival of The Official Overstreet Comic Book Price Guide #36 in comic book specialty shops. The Random House edition for traditional bookstores should follow soon after. As has been the tradition for almost a decade, there are two covers, and each of the covers are offered in hard cover and soft cover editions. 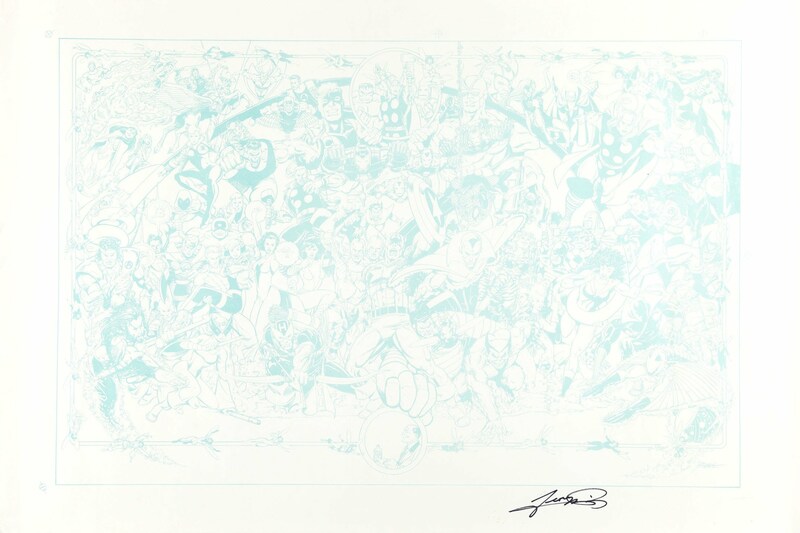 George Pérez (Infinite Crisis) drew one of his signature characters, Wonder Woman, in an original composition for the Guide. This crafty blending of Golden Age and modern sensibilities is the second Overstreet cover by Pérez, the first coming just last year on the bookstore edition of CBPG #35 with a 25th anniversary recreation of New Teen Titans #1. 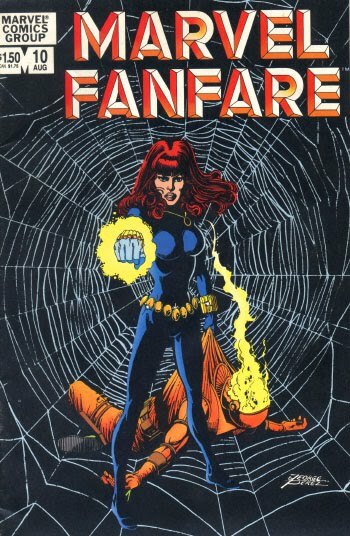 The cover was also featured on The Big, Big Overstreet Comic Book Price Guide in the Direct Market. News: Overstreet #36 in April? 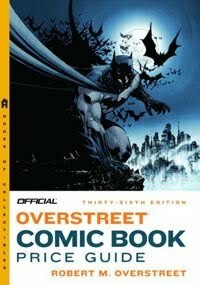 Amazon.com has a listing for the bookstore cover version of The Official Overstreet Comic Book Price Guide #36, which features cover art of Batman by Jim Lee. The release date on the site is May 9th, so I'm guessing the direct market edition featuring George's Wonder Woman cover will arrive in comic shops in late April. 1) What was the first year in which the Overstreet Comic Book Price Guide was published? 4) Which of these characters has NOT been featured on the cover of the Guide: Superman, Wonder Woman, Spider-Man, or Daredevil? Click here for the contest entry form in PDF format! The Official Overstreet Comic Book Price Guide #36 is featured in the December 2005 issue of Previews from Diamond Comic Distributors. The new Guide, which is scheduled to ship in April 2006, features a choice of two bold covers, a beautiful Wonder Woman piece by Infinite Crisis cover artist and former Wonder Woman writer-artist George Pérez, and an bold recreation of Journey Into Mystery #83, the first appearance of Thor, by Doctor Mid-Nite artist and Fashion in Action creator John K. Snyder III. “We're really excited to have both George and John back on our covers this year, and the reactions of everyone who has seen the pieces have given us some pretty high expectations for how fans are going to react to them,” said J.C. Vaughn, Executive Editor of Gemstone Publishing. One name stands out in the hobby as the authority on grading, pricing and collecting comic books -- Robert M. Overstreet. For more than 35 years, the price guide that bears his name has been the “bible” of the industry, and that trend's sure to continue when Gemstone Publishing releases The Official Overstreet Comic Book Price Guide 36th Edition (Thor/Wonder Woman - HCs: DEC053021/23, $32.00ea. ; SCs: DEC053022/24, $25.00ea. ), completely updated and offered in the December Previews! Comic book fans know that the Overstreet Price Guide is consistent, reliable and easy-to-use. Carried in comics shops and bookstores and utilized by libraries, auction houses, insurance agents and museums, it is one of the most widely used and highly respected resources available for evaluating collectible comic books. As prices continue to escalate on comics, the Overstreet Price Guide remains the first, best reference for both the serious and the casual collector. This 36th Edition is packed with new and exciting material about comics, including: a brand new, fully illustrated introduction; an interview with All Star Batman artist Jim Lee by Masters of Kung Fu author Michael Kronenberg; a feature article on comics of the '70s by Back Issue Magazine editor Michael Eury; and more. This year's Guide features a choice of hardcover and paperback editions by John K. Snyder III, who deftly illustrates a Jack Kirby-esque Thor, and superstar George Pérez, who contributes one of his signature characters, Wonder Woman. In the old days, pre bags and boards, comics were a cheap form of entertainment rolled up and stuck in your back pocket. At some point you decided to collect them and trade with friends for those you needed for that new collection. You decided on the condition and the value of your books and when fanzines and mail order dealers came along you found out not everyone had the same eye in grading and pricing their comics. Fortunately in the 70s a real price guide was created and the Overstreet Comic Book Price Guide became the reference “bible” for a new marketplace. Now every year a new edition shows us the potential value of our collections as well as helping us to find new titles we never knew existed and must have in that ever-growing collection. You can even read great articles on the history of comics, their publishers and their creators. Overstreet Comic Book Price Guide Volume 36 scheduled to ship in April in hardcover and softcover editions features an homage cover of Thor from Journey into Mystery #83 by John Snyder III and the 60th anniversary of Wonder Woman by the legendary George Perez. Whether looking to see if you got a good deal on that Golden-Age comic you bought or finding out if your collection will pay for your child's college tuition, the Overstreet Comic Book Price Guide is THE source to go to for information.